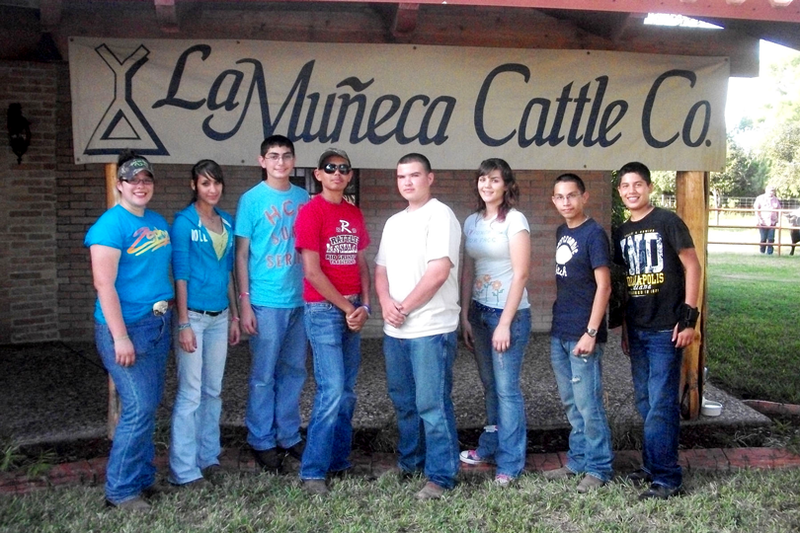 The Rio Grande City Future Farmers of America (FFA) attended the 23rd annual La Muñeca Agriculture Field Day. This field day is designed to teach youth about the different aspects of showing and choosing their livestock projects. After the judging competition and guest speakers the event ends with a livestock show of animals purchased at the La Muñeca Ranch. Picture above from left to right; Cody Lee Lara, Araceli Lopez, Javier Guerra, Mario Benavides, Hipolito Nacenceno, Karina Segovia, Alan Garcia, and Elijah Lopez. Not shown in picture Daniel Garza, Bianca Garza and Mrs. Randy Lee Martin.